Magnificent property from the early 19th century. 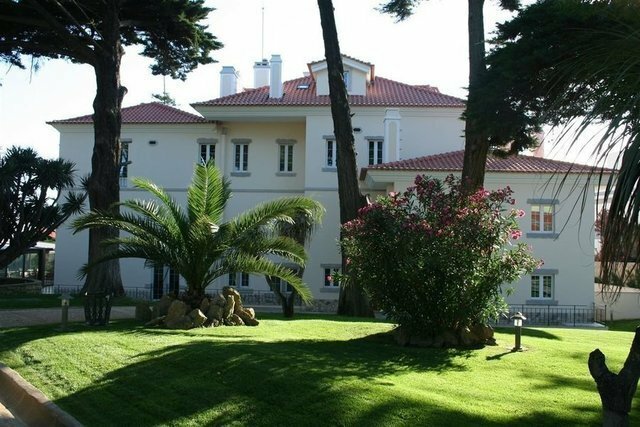 This carefully renovated chalet has 7500sqm of unique and welcoming garden and leisure areas with an excellent sea view. The property comprises several construction units, namely the main house with 5 rooms (living, dining, theater, game and staff), 7 bedrooms (5 en suite and 2 for the staff), 2 home offices, a library, a chapel and 12 bathrooms (8 full bathrooms). Also there are another small houses: 1 with a bedroom for the staff, 1 with a barbecue and dining room, another for gym/music activities, 2 kennels and 3 stone houses for small cattle and poultry. The pool area has locker rooms, showers and a Turkish bath. The villa will be delivered furnished and equipped.